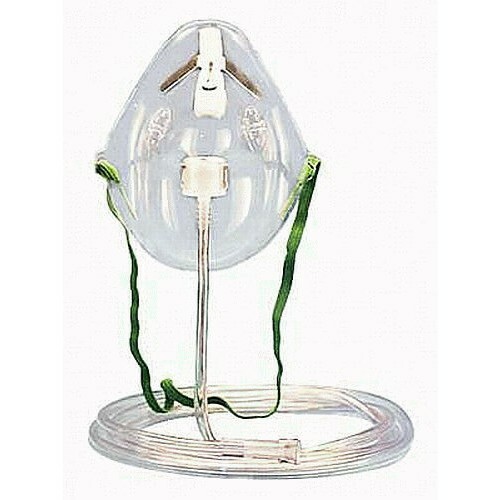 The B&F Medical Simple Pediatric Oxygen Mask is a clear soft vinyl mask with a cotton coated strap. Each latex free mask comes in an easy-open perforated bag. The adjustable nose clip and elastic strap help to insure proper usage. 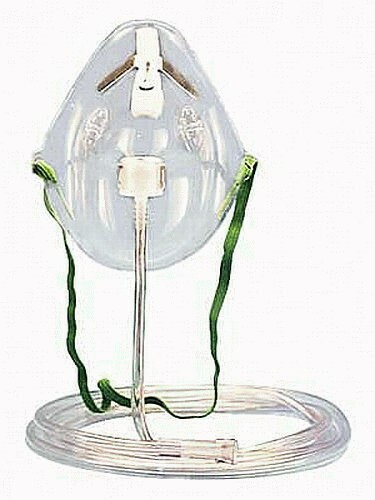 This is a medium concentration mask for pediatric use. Each mask comes with 7 feet of oxygen tubing attached. Even though I am an adult, this fits me perfectly.